Disney has long been an important part of our childhood, a miracle world built from fairy tales with funny and cute cartoon characters. Based on that influence, Bandai Namco, the leading game developer, and developer in Japan has released the Disney game for mobile phones, Disney Flower Drop Magic. Of course, the fans are expected to be the game will bring fresh atmosphere to the game market today. Disney Flower Drop Magic is a very easy to play puzzle game where players remove blocks of the mobile puzzle, then line up 3 consecutive flowers to eliminate them and win points. Players have the right to choose their characters to play games such as Micky Mouse, Panda Bear, Snow White, … Each character has different features. It is commented that the game is quite simple, easy to play players from the first game. 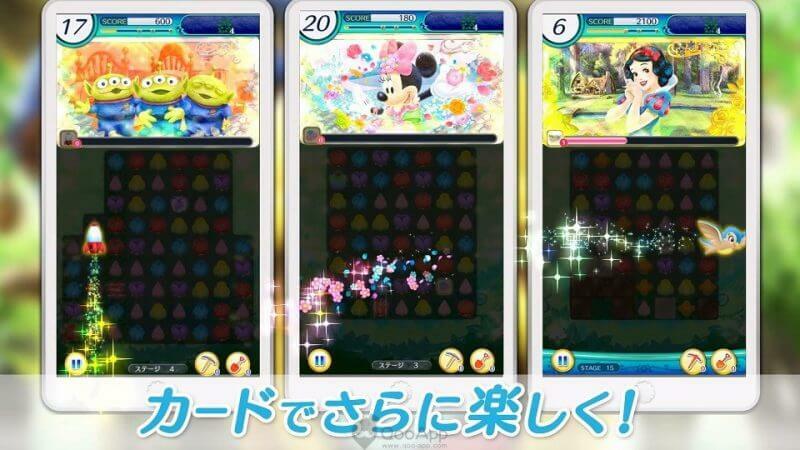 In addition, the Disney Flower Drop Magic allows players to create their own world, through each round of players will build the kingdom in the game more powerful, more splendid. Based on the number of points the player can accumulate, the castle will be built on different levels, the more points your castle will be more magnificent. Players can earn membership cards to unlock the corresponding characters, enhancing their achievement. Disney Flower Drop Magic APK is a fantasy world with stories of flowers, anywhere in the game easy to see the colorful flowers. Eye-catching interface, players like to step into the world of magic, the dream world of fairy tales. 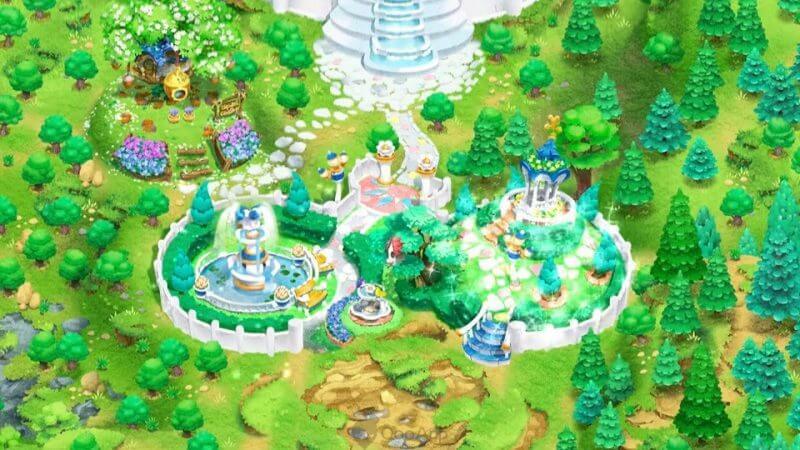 The game is highly connected, In each kingdom, players can freely decorate their castle, not only building from the flowers, the castle needs constant care from the player to prevent the invasion of the species in the area. the forest. Building the kingdom from the castle, players feel more clearly the air color, brilliant and full of creativity. Featuring colorful designs, familiar Disney characters, Disney Flower Drop Magic is the latest version to meet the needs of all fans for high entertainment needs. In this new release, Disney Flower Drop Magic has received a lot of attention because of its easy-to-use version of the phone itself. Take advantage of the modern advantages of information technology, become useful applications, convenient and welcome the trend of entertainment users. Games are available for pre-registration.